Winter has truly arrived with dramatic decreases in temperature. Even a slight chill increases the speed at which rhinoviruses, which cause the common cold, can multiply. Cold temperatures also trigger immune-system changes that let the viruses replicate virtually unchecked. 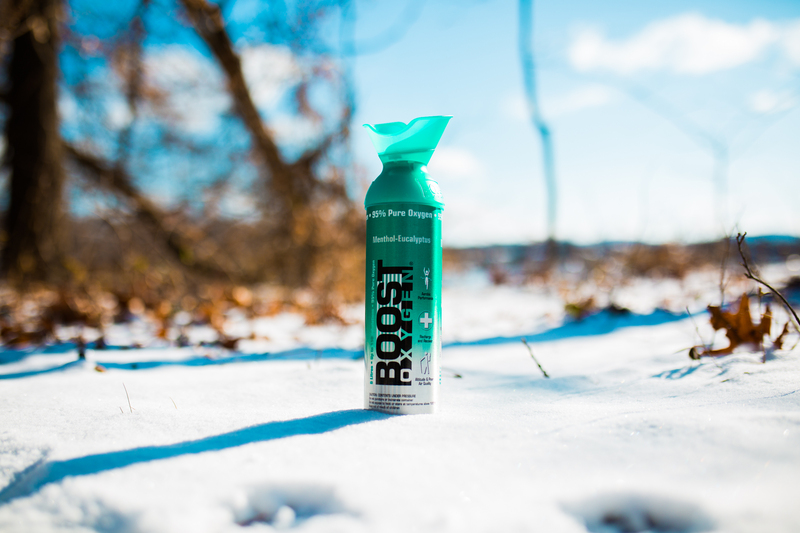 Breathing Boost Oxygen can help you recover incredibly quickly and provide a nice energy boost at the same time! Just take a couple of deep breaths of pure oxygen and feel your body bounce back from the elements in no time. As oxygen is naturally anti-inflammatory, breathing Boost Oxygen’s 95% pure oxygen will naturally reduce inflammation of the nasal passages or bronchial tubes depending on where the mask is placed. The effectiveness of Eucalyptus against many respiratory ailments has been known for thousands of years. The main constituent of eucalyptus oil is cineole, which has been proven as being effective in the treatment of respiratory diseases, such as rhinosinusitis and asthma. Inhaling eucalyptus has been found to help break up phlegm and mucous that can clog airways, also helping to improve the breathing process.